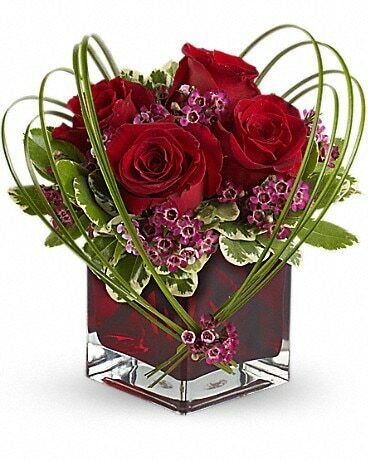 For a love that's truly one of a kind. 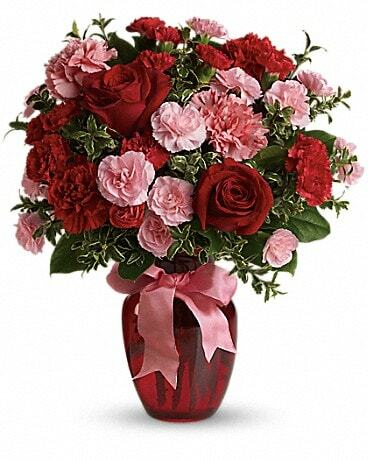 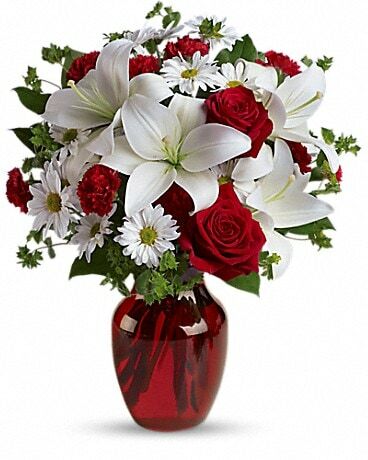 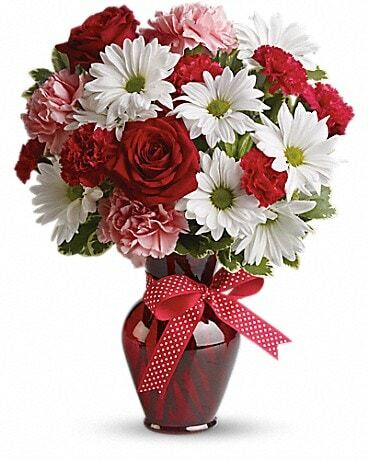 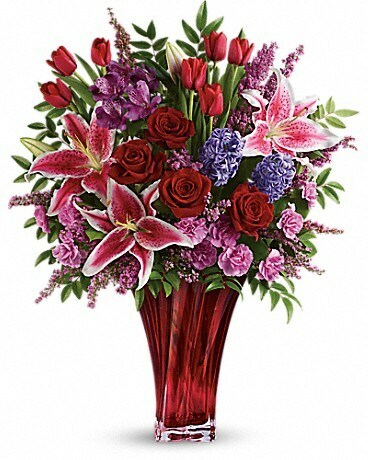 Celebrate your unique bond this Valentine's Day with this magnificent bouquet of roses, lilies, alstroemeria and more, artfully arranged in an elegant red blown-glass vase. 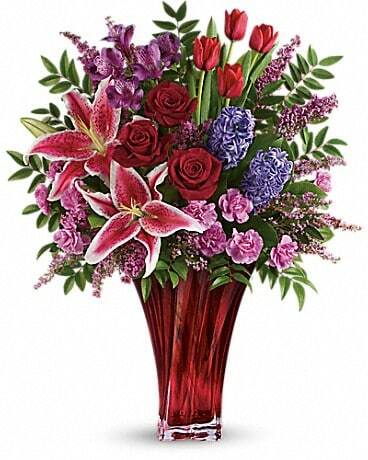 Dazzling with graceful details, it's a true décor piece they'll enjoy forever as a resplendent reminder of your love. 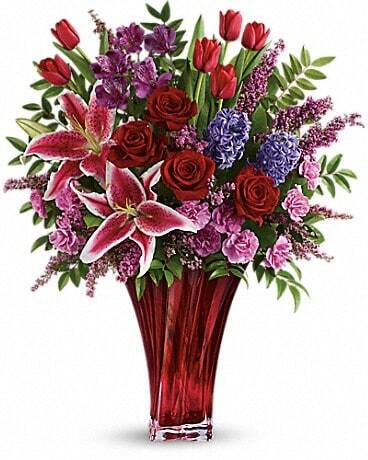 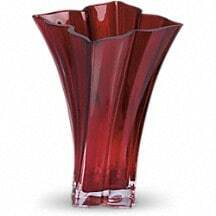 This exquisite hand-blown art glass vase is part of Teleflora's exclusive Flowers-in-a-Gift collection. 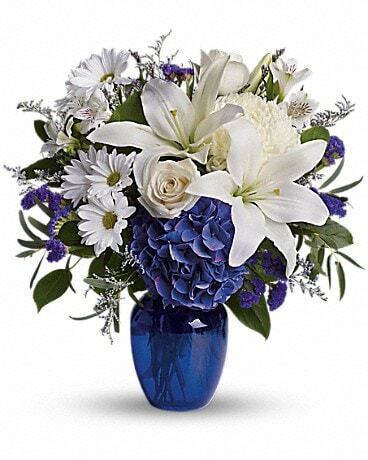 This gorgeous work of art is sure to be treasured for years to come.